Registration is now open for the Aboriginal Council Conference 2015 to be held November 19 – 20, 2015 at the Delta Bessborough Hotel in Saskatoon. 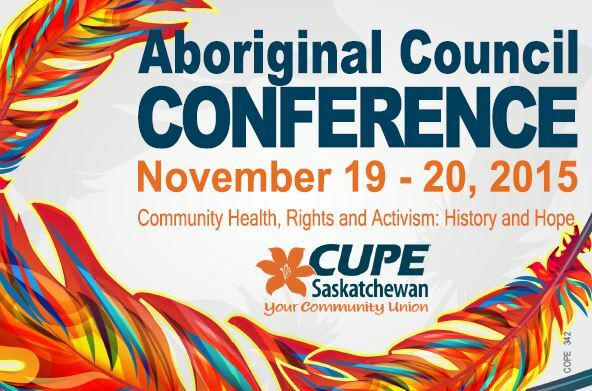 Open to all CUPE members, the CUPE Saskatchewan Aboriginal Council Conference seeks to build union activism with a focus on equality and rights for Aboriginal people in our workplaces and communities. This year, participants will explore the history of Aboriginal community health, rights, and activism with a focus on building a more just and equitable future. 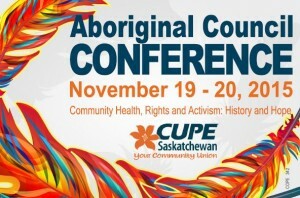 Elections to CUPE Saskatchewan’s Aboriginal Council Committee will also be held at the conference. Friday Nov 20 2015 9:00 a.m. – 4:30 p.m.
Delta Bessborough Saskatoon Hotel block booking rates guaranteed until October 19, 2015.